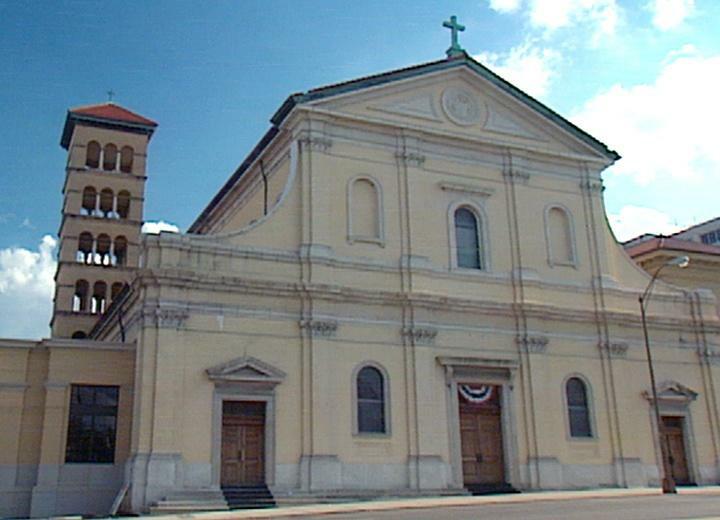 The Cathedral, modeled after St. Martin's on the Hill in Rome, was built in 1914 on West End Avenue. At the time Bishop Thomas Byrne bought the property, people questioned his decision to purchase land "so far out in the country." Resembling a typical Roman basilica, the Cathedral features a 100-foot tower copied from another Roman church, St. Damase. Decorated in 13th century Renaissance style, the Cathedral also features a coffered ceiling, made of an ornamental plaster called rigalico, believed to be the first of its kind in the U.S. The altars are made of Carrera marble, imported from Italy. The baptistery is a 1/8 size replica of the baptisimal font in St. Peter's Basilica in Rome, designed by Michelangelo. (Brentwood: J M Productions, Inc., 1986), p. 89. The Cathedral of the Incarnation website, www.nashvillecathedral.com - 2002. Immanuel Baptist became an organized church in 1887 after fifteen years as a mission Sunday School of First Baptist Church. The church purchased a lot on the corner of Seventeenth and West End Avenues and a building was eventually erected on Seventeenth and Broad in 1913. 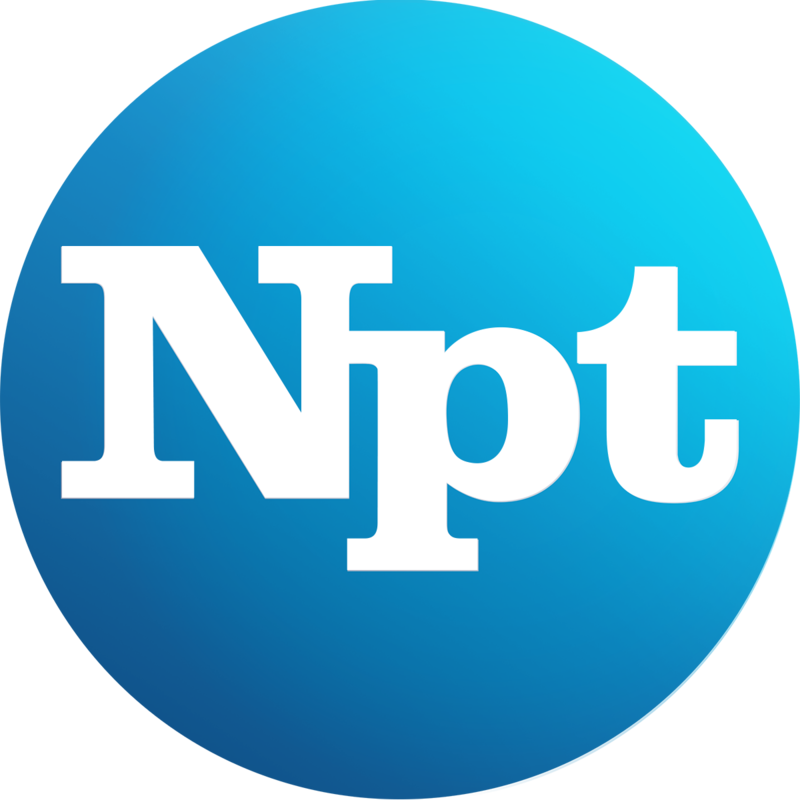 When the neighborhood became more of a business district, many of the church members found themselves living a greater distance from the church. 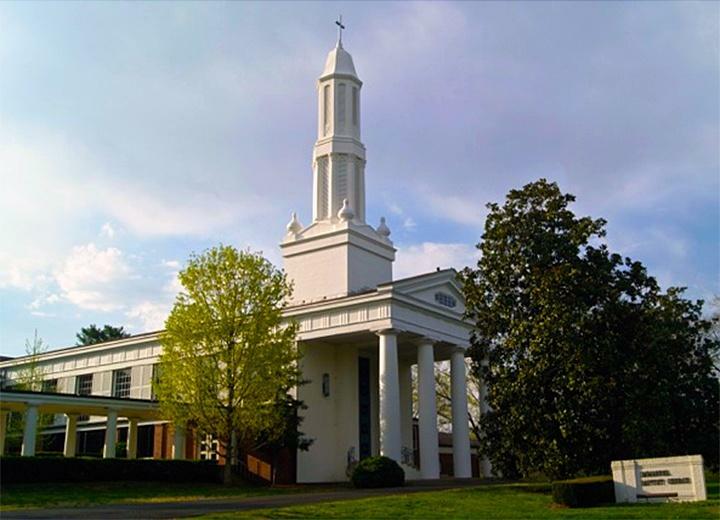 In 1954, Immanuel Baptist moved to its present location on Belle Meade Boulevard. (Brentwood: J M Productions, Inc., 1986), p. 97. Vine Street Christian began its history in 1820 as the Baptist Church of Nashville, but broke away from its former rules and doctrines in 1828 and became the Christian Church under the leadership of Philip Fall. During the Civil War, military Governor Andrew Johnson wanted all preachers in Nashville to swear an oath of allegiance to the United States. Many ministers left the city or were arrested and imprisoned for not taking the oath. Philip Fall, the pastor of the Christian Church (now Vine Street Christian) declared that he already took an oath when he became a U.S. citizen. Johnson maintained that the oath was invalid. Fall declared that if his oath was invalid, he was then still a British subject and would fly the British flag over the church to show that it was British territory. As a result, U.S. troops did not seize the building. Fall's congregation was allowed to continue worshipping and his members also allowed other congregations who had been thrown out of their churches to hold services in their building. The members of the congregation worshipped in various buildings on Church Street, Fourth Avenue, and Vine Street (where they worshipped for 68 years). The church moved to its current location on West End Avenue in 1958. Interview, James A. Hoobler, 2002. Vine Street Christian Church website, www.vinestreet.org - 2003. (Brentwood: J M Productions, Inc., 1986), pp. 99-100. In 1874, twenty Jewish families founded Khal Kodesh Adath Israel (Congregation Assembly of Israel). The congregation first met in Old Douglass Hall on North Market Street (present day Second Avenue North) and in various places over the years until it purchased and remodeled a residence on North Market Street in 1886. The Religious School began during its first year at the new residence and the congregations employed its first full-time rabbi in 1887. The congregation grew and the Gay Street Synagogue was constructed in 1901. The synagogue remained at Gay Street for 46 years until all activities, except for High Holidays, were moved to the present location on West End Avenue. 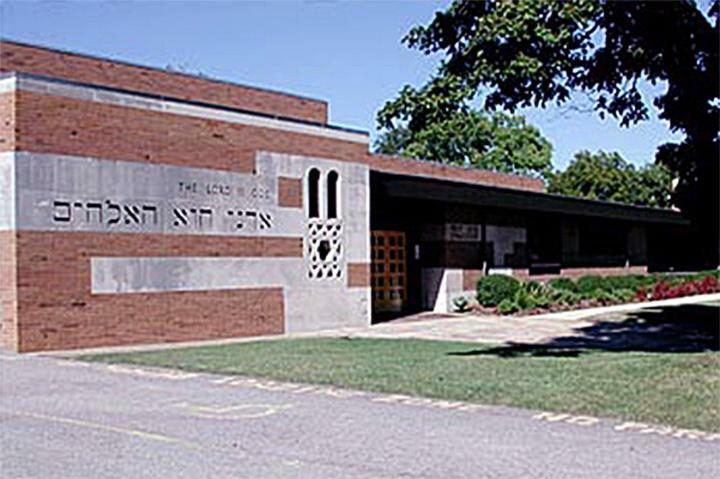 The current synagogue was built and dedicated in 1951. West End Synagogue website, www.westendsyn.org - 2003. With its 220-foot tall spire, Woodmont Christian Church makes its presence known at the corner of Woodmont Avenue and Hillsboro Road. 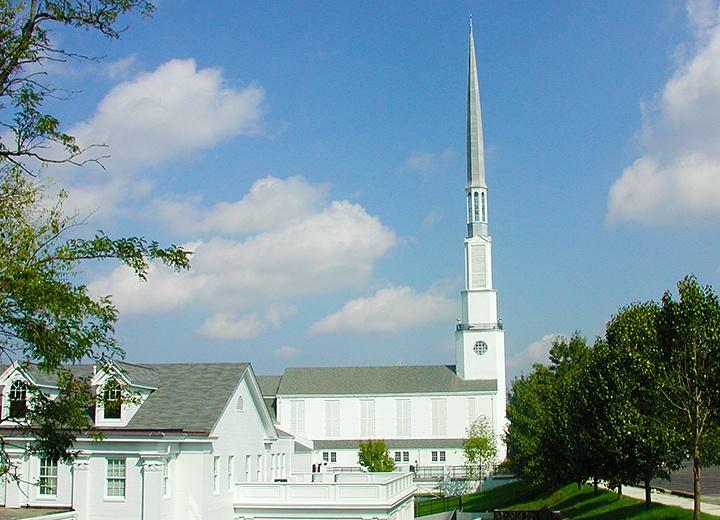 Designed by Nashville architect Edwin Keeble, the steeple, often referred to as one of "Keeble's needles," is a prominent feature of the church. 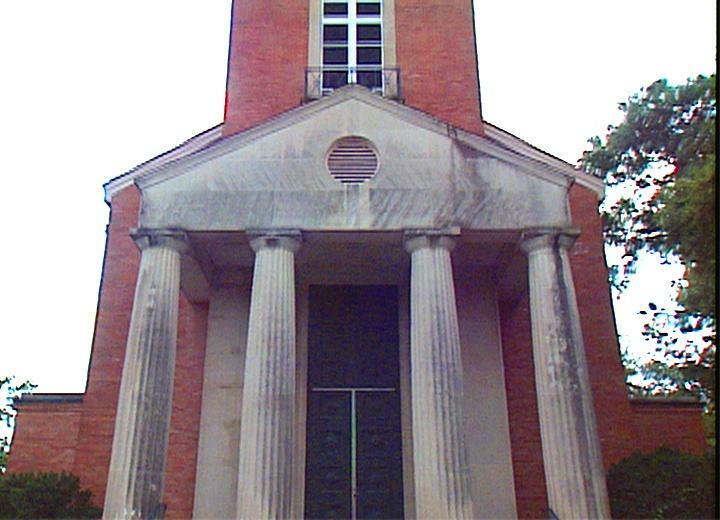 The exterior surface of Woodmont Christian Church is an inexpensive painted brick, not normally used for facing. Intended as a money-saving device, the brick was painted white, which is now a recognized feature of the church. Frank Orr, Elbridge White, Charles W. Warterfield Jr., ed., Notable Nashville Architecture 1930-1980 (Dallas: Taylor Publishing Company, 1989), p. 30-31.